As September approaches, and the southern hemisphere winter turns to spring, Argentines walking the streets of Buenos Aires and other cities stop more often to enjoy an ice cream at their neighborhood heladería. 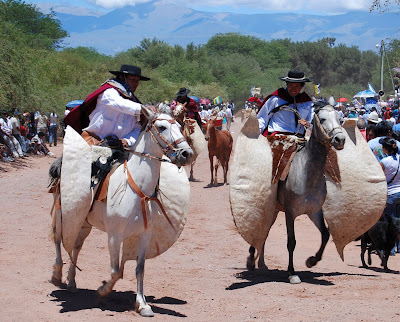 Argentine ice cream dates from 1826 but, surprisingly, from the western city of Mendoza - at that time, Buenos Aires had no source of ice that would allow the production of ice cream, but muleteers could haul it down the western Andes, even if some of it melted en route. Only later, in the 1840s, did ice cream begin to have an impact on Buenos Aires, as the first shipments of ice began to arrive from, of all places, the United States. Not until 1860 did the city have its own, locally produced ice to make frozen desserts and, with the massive Italian immigration of the late 19th century, it underwent a boom that has never subsided. 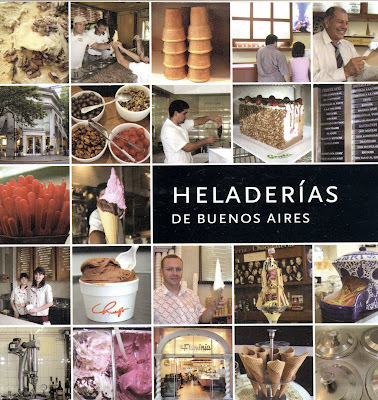 This is according to the new, very specialized guide to Heladerías de Buenos Aires (Ice Creameries of Buenos Aires), published by the municipal Ministerio de Cultura, which not only details the history of frozen treats in a city whose hot, humid summers have made it a staple of the diet. In 255 pages, with color photos, it also provides a thorough rundown of 32 landmark ice creameries around the city, plus a several-pages-long list of other deserving shops. Not so long ago, though, many of those ice creameries were summer-only destinations. 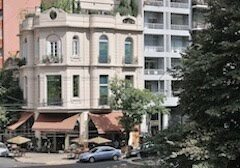 In 1984, when I spent my first winter living in the city’s Congreso district, a walk down nearby Avenida Corrientes found most of them shuttered for the season, and the ones that remained open were not the best of the bunch. Today, that’s changed greatly even though some remain open seasonally. Several of my personal favorites figure in the book, including Belgrano’s Gruta, the Microcentro’s Vía Flaminia (Florida 121), and Congreso’s Sorrento (Avenida Rivadavia 2051) and Cadore. Cadore, in fact, has made a list of the world’s best ice creameries in the Madrid daily El País, which also included Monserrat’s Pastelería Olímpica (Avenida de Mayo 752), which I had never heard of, just a block from the iconic Café Tortoni. El País’s list, though, is heavily Eurocentric - all the others it mentions are in Spain, France, and Italy. Still, between the Olímpica and the others depicted in the municipal guidebook, I’ll have plenty of pleasurable research to do on my next trip to Buenos Aires. 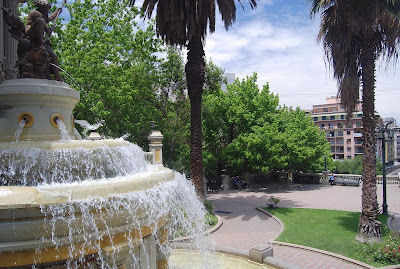 It’s worth adding that the same series includes Pizzerías de Buenos Aires, as well as El Libro de los Libros (covering the city’s bookstores) and Calesitas de Buenos Aires (about merry-go-rounds). All of them are available in the bookstore at the city’s Casa de la Cultura (Avenida de Mayo 575). 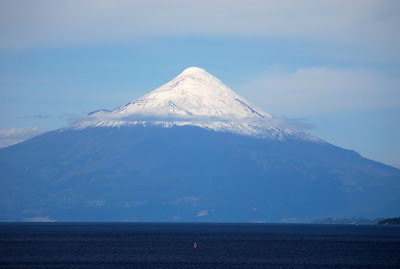 In a post just a couple months ago, I noted that Chile’s Parque Pumalín (pictured above) - closed since the eruption of Volcán Chaitén in 2008 - will reopen in December for the 2009-10 season. 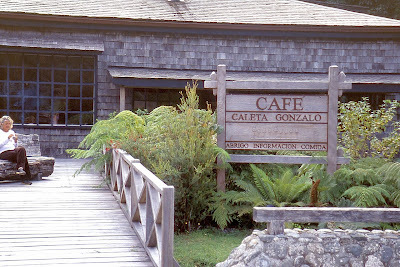 I have since heard from Carolina Morgado, who works for Doug Tompkins and Kris McDivitt, the environmental philanthropists responsible for the creation of Pumalín, that the facilities at Caleta Gonzalo - including the visitor center, café (pictured below) and cabañas - will reopen on December 15th. In the course of updating the current edition of Moon Handbooks Patagonia, I expect to revisit the area later this year but, in the meantime, I’ve received further information on the pending Parque Nacional Patagonia (which, unlike the privately run Pumalín, will be part of Chile’s national park system), a public-private initiative that would unite several protected areas near the town of Cochrane. 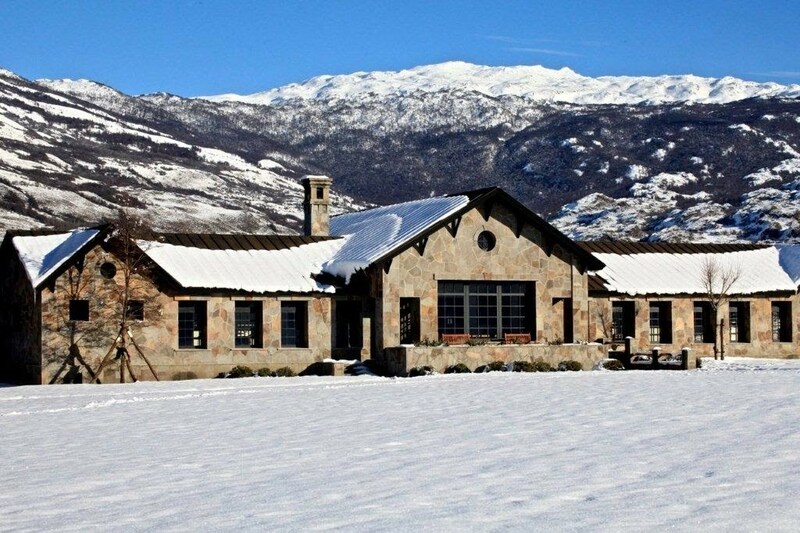 The biggest development for this season is the opening of the new lodge at Valle Chacabuco (pictured below in winter, reservas@vallechacabuco.cl), about half an hour northeast of town, which immediately becomes the area’s elite accommodations. 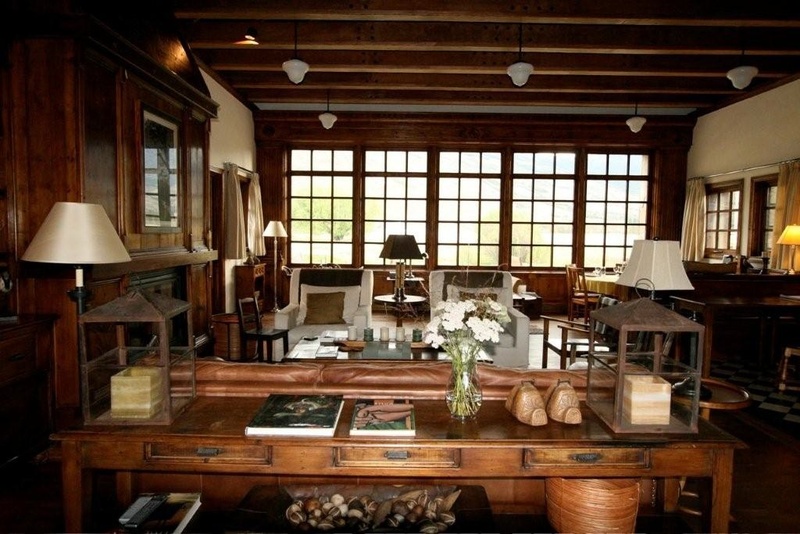 Like Tompkins’ and McDivitt’s other properties, it suggests impeccable taste. 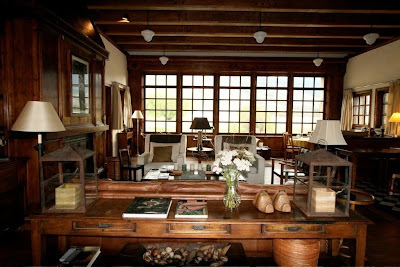 The lodge at Valle Chacabuco has half a dozen rooms, with a maximum occupancy of 17; the rooms vary from two single beds to double to four bunks. The rates, currently under review, range from US$250 to US$300 pp with full board, including a buffet breakfast, picnic lunch (for excursions), and prix fixe dinner; alcoholic beverages are additional. Two-hour horseback excursions (about US$40) are available on site but, otherwise, it’s up to visitors to arrange them through local and regional operators such as Andes Patagónicos and Al Sur Expediciones. 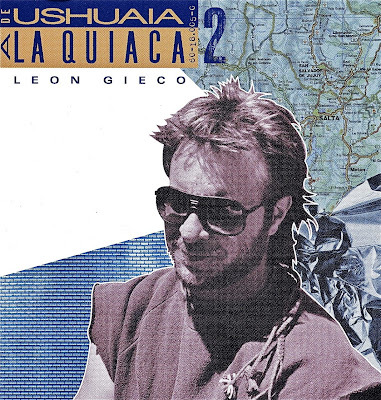 What's good about Chacabuco - its isolation in nature - is also what's bad about it. Transportation is the greatest concern in this thinly populated area, where settlements are few and far apart. Bus service is infrequent, and rental cars are available only in the provincial capital of Coyhaique (and its airport at Balmaceda), some six or seven hours north. Valle Chacabuco is 11 km from the highway junction, though it’s possible to hire a private car in Cochrane to take you to the lodge. 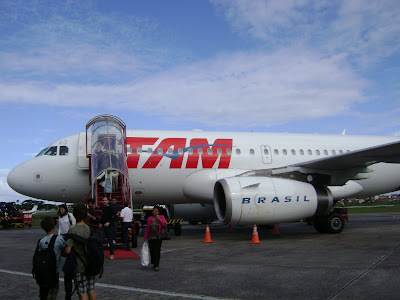 A few weeks ago, my Moon Handbooks colleague and Brazil author Michael Sommers wrote an encomium to the airlines of his adopted country, where flying can still be the pleasure it was decades ago in the United States. Michael praised Brazilian airlines’ courtesy, flexibility, and - especially - the lack of silly “security” measures and luggage fees. Here, nobody humiliates you with the demand that you take your shoes off. In a country of Brazil’s size - it’s the world’s fifth-largest country, smaller than China but larger than Australia - flying can be imperative, and it’s a pleasure to look forward to a flight with anticipation rather than dread. 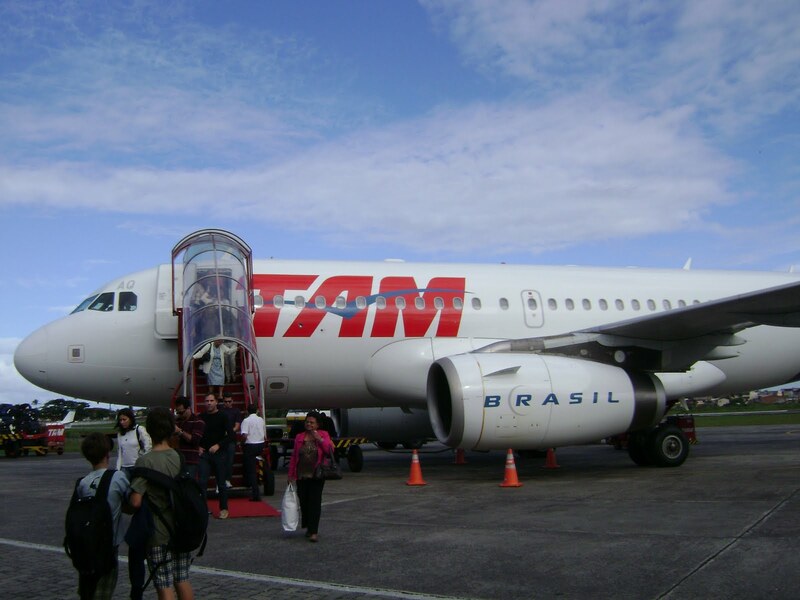 That should be even truer in the near future as, last week, Chile’s LAN - widely acknowledged as Latin American’s top airline - has acquired Brazil’s TAM Linhas Aéreas to form the region’s largest airline, to be known as LATAM Airlines Group SA. According to Bloomberg News, LAN, which also operates affiliates in Argentina, Perú and Ecuador, paid US$3.7 billion in stock for TAM. Both airlines will continue to operate autonomously, under their own names, but the merger will create the world’s 11th-largest network, with 116 destinations in 23 countries. 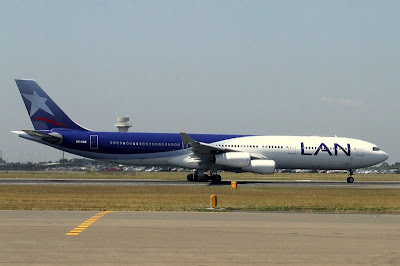 According to Bloomberg, LAN’s market value of US$9.4 billion makes it the world’s fifth-largest airline and, by adding TAM’s US$3.3 billion worth, LATAM may become the third largest, behind Air China and Singapore Airlines, and ahead of Cathay Pacific and China Eastern. Quite an achievement for what was, a couple decades ago, a modest regional flag carrier in a country that ranks 38th in size, just below Turkey and just above Zambia (in fairness, Chile’s stringbean geography has made air travel critical to its development). What this will mean for fliers is another question entirely. As Michael points out, flying has become more commonplace and fares have fallen in Brazil as the middle class has grown but, in Chile, getting the best fares now requires advance purchase and/or the willingness to travel at inconvenient hours (some LAN flights, for instance, leave Santiago after midnight and arrive in the Patagonian city of Punta Arenas around 4 a.m.). Still, there’s no question the service and the flying experience are, and will continue to be, better than on most of their North American or European counterparts. Published out of Los Angeles, the Huffington Post is really a news aggregator website with a diversity of opinion blogs that are mostly, but not exclusively left of center. 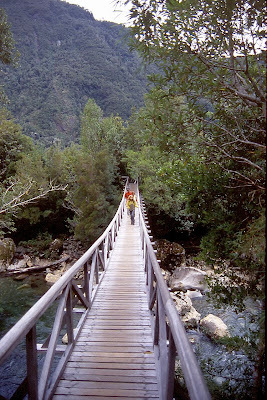 It’s far less well-known for its travel page even though, for example, it creates entertaining features such as last month’s digital slide show of the “Top 10 Southern Hemisphere Cool-Off Spots.” Actually, that title is a little misleading, as at least the editor appears unable to count beyond “10,” as one additional destination appears in the list. Then again, that editor could be a former member of Spinal Tap (“it goes to 11,” after all), though probably not a drummer. As the northern hemisphere summer winds down, it’s still pretty hot in parts of Europe and North America, so I though it would be worth taking a look at Huffpo’s list - especially since five of them are in Argentina and Chile, the countries I cover in my Moon Handbooks. Huffpo readers get a chance to vote on the destinations in question, ranking them from one (“No way!) to 10 (“Packing now!”). No, this scale does not go to 11. Surprisingly, at least according to Huffpo readers, the number one attraction of the bunch is Chile’s Portillo ski area (pictured above, in summer). 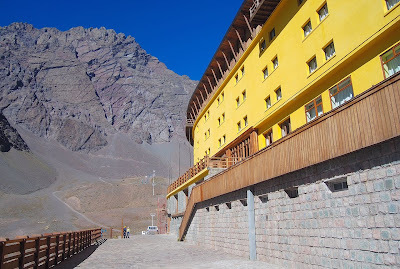 It’s not that Portillo isn’t a worthy destination for skiers - many downhill ski records have been set here and the lack of trees increases the skiable terrain - but rather that the hotel and other non-ski facilities lag behind newer Chilean resorts such as Valle Nevado, which has upgraded its non-skiing infrastructure. Short of adding a new wing, for instance, there’s limited possibility of improving Portillo’s classic hotel because the rooms are relatively small. 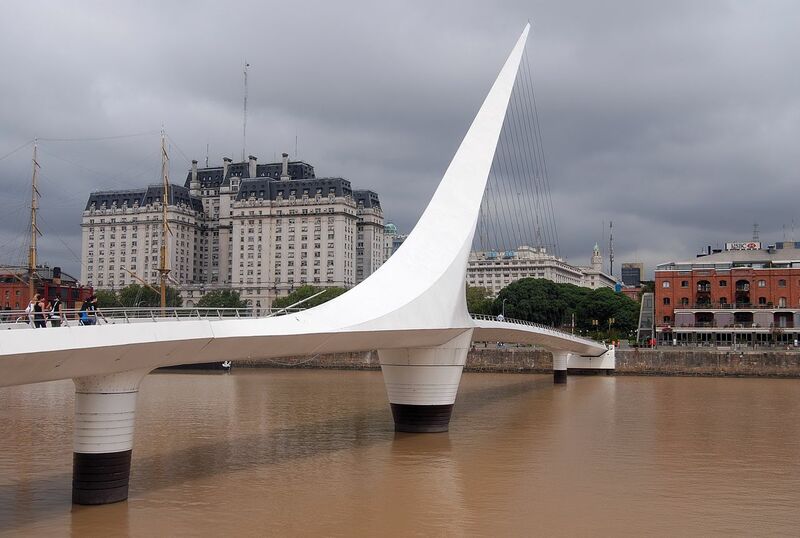 Third place in the voting went to Buenos Aires, though the editors used clichés such as the “Paris of South America” to describe Argentina’s capital. At the same time, the editor(s) showed a photo of rejuvenated Puerto Madero (with an apparently photoshopped full moon rising behind it; the photo above is mine) rather than the barrio of La Boca, with its tourist trap weaknesses. 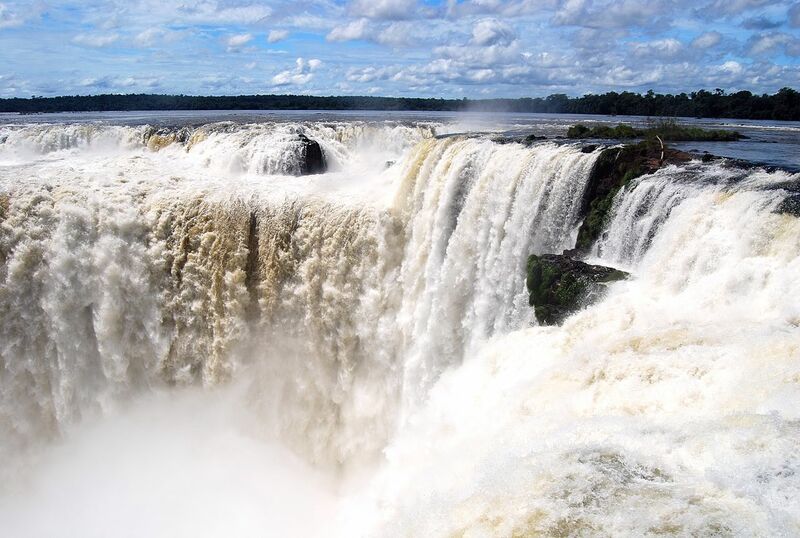 Coming in fourth was Iguazú Falls but, astonishingly, the photo caption called it part of Brazil - in fact, it is only partly in Brazil, and the sector of the falls it stresses, the Garganta del Diablo (Devil’s Throat, pictured above), is exclusively on the Argentine side. Nor is Iguazú, as Huffpo claims, “a virgin jungle ecosystem” - to be sure, there is plenty of native forest, but the part closest to the falls is as groomed as any Disney theme park. 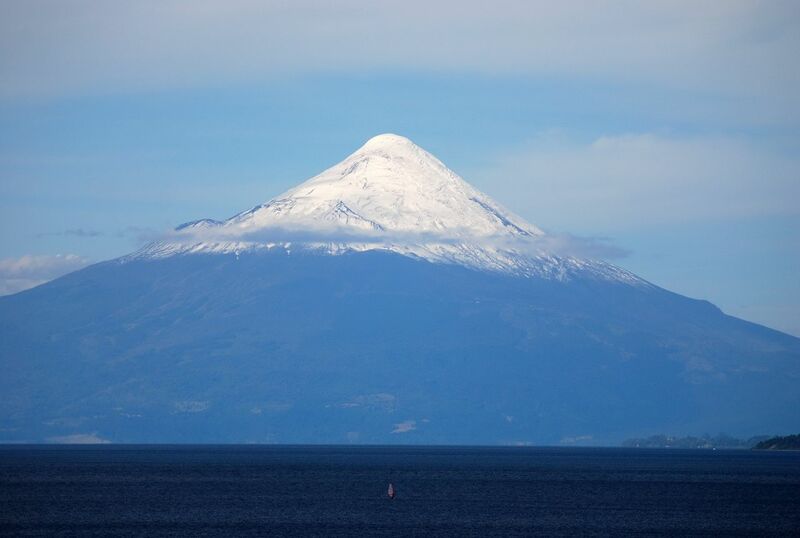 Huffpo readers ranked the Chilean lakes district fifth, though the editors displayed a summer shot of Volcán Osorno (pictured above) and the Río Petrohué - visiting the vicinity of Puerto Varas in the southern winter would be more like going to Seattle or Vancouver in January or February, with damp wet weather even if the temperatures are usually above freezing. 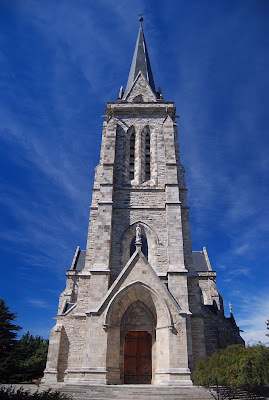 Equally surprisingly, San Carlos de Bariloche came in ninth as Huffpo published a photograph of its landmark neo-Gothic Catedral Nuestra Señora de Nahuel Huapi, designed by Alejandro Bustillo (the photo above is mine). Though I’m not myself a skier, I would rate Bariloche above Portillo, if only because it offers so many urban diversions in addition to fine skiing at Catedral Alta Patagonia, barely 15 minutes from downtown. 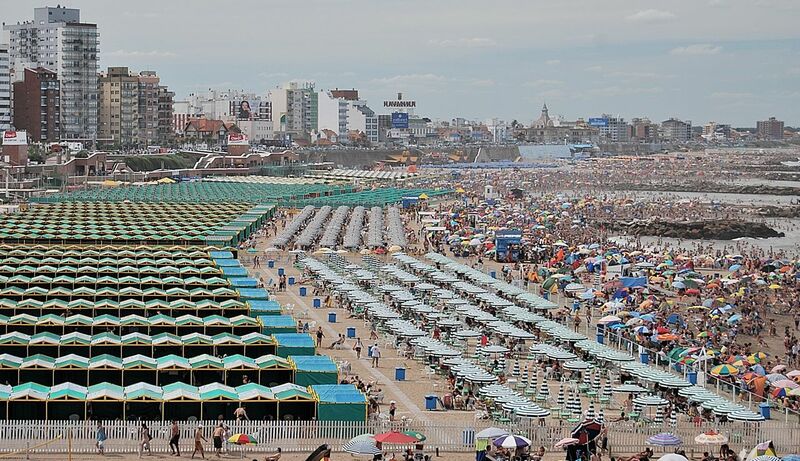 Meanwhile, the Buenos Aires province beach resort of Mar del Plata makes another Huffpo list of the world’s 12 most overcrowded beaches and, in summer, it’s hard to deny that, but off-season - as it is now - it makes a great escape. Its terms of crowded summer competitors, it ranks with beach resorts like New York’s Coney Island, Rio de Janeiro’s Copacabana, England’s Brighton (whose pier closely resembles the one at Mar del Plata), but Mardel only comes in seventh on a scale that ranges from “the more the merrier” to “a bad dream.” South Africa’s Golden Mile Beach comes in first. For most of my life, I have lived and worked outdoors as a self-employed tree trimmer, an itinerant field geographer in the Chilean Andes and the Falkland Islands, and as a guidebook writer all over South America, if mainly in the Southern Cone countries of Argentina, Chile and Uruguay. Maybe my inability to work in an office - other than my home office, where I look onto the garden and walk the dog whenever I care to - is a personal shortcoming, but I wouldn’t have it any other way. 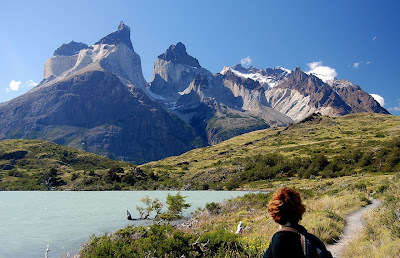 A lot of the work I do on the road in South America may be formulaic - updating hotel rates and bus schedules, for instance - but it also gives me the opportunity to revisit places, like Chile’s Parque Nacional Torres del Paine (pictured below) or Argentina’s Parque Nacional Los Glaciares, that many other people see only once in a lifetime, if that often. 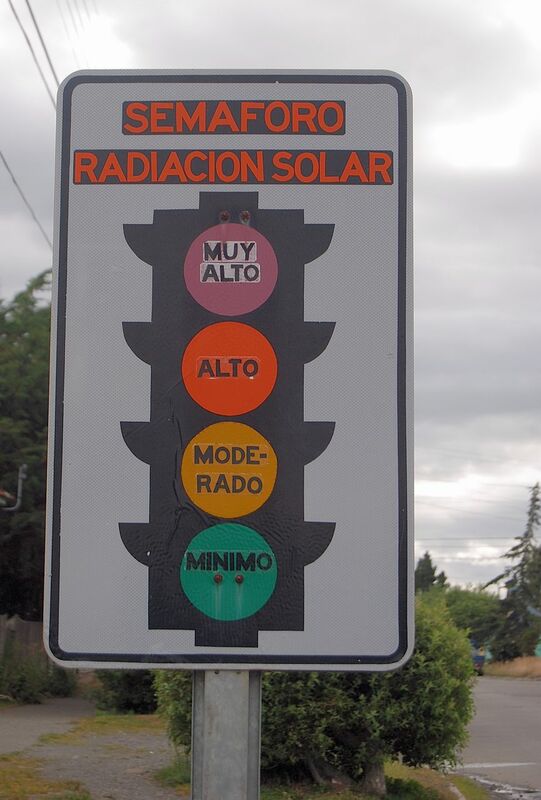 But that outdoor life sometimes comes at a price, as I learned recently when diagnosed with a melanoma on my nose - excessive exposure to the sun, especially in Patagonia and Tierra del Fuego, where the hole in the ozone layer has exposed the populations of cities such as Punta Arenas and Ushuaia to dangerous UV radiation, can be hazardous. In Chilean Patagonia, in fact, the regional government has placed “semaphores” indicating the degree of solar radiation, and has even recommended keeping children indoors between the hours of 10 a.m. and 6 p.m.
Fortunately, in my case, it was detected very early, and the surgeon who will remove it next Tuesday gives me a nearly 100 percent chance of full removal. It will, however, oblige me to spend nearly six weeks under virtual house arrest - no exercise, not even walking the dog - as skin grafts on the nose are notoriously sensitive to moisture and movement. For the rest of my life, though, I will have to be regularly rechecked and take special precautions, such as wearing a wide-brimmed hat and sunscreen whenever I am exposed to sunlight. 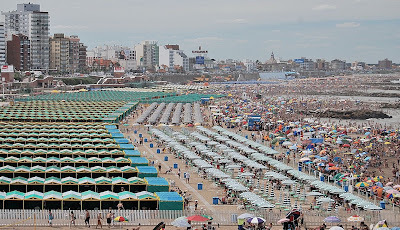 While I am not excessively worried about a recurrence, it’s worth stressing that anyone who visits the Southern Cone countries, or any place where the sun shines brightly, should take such precautions. 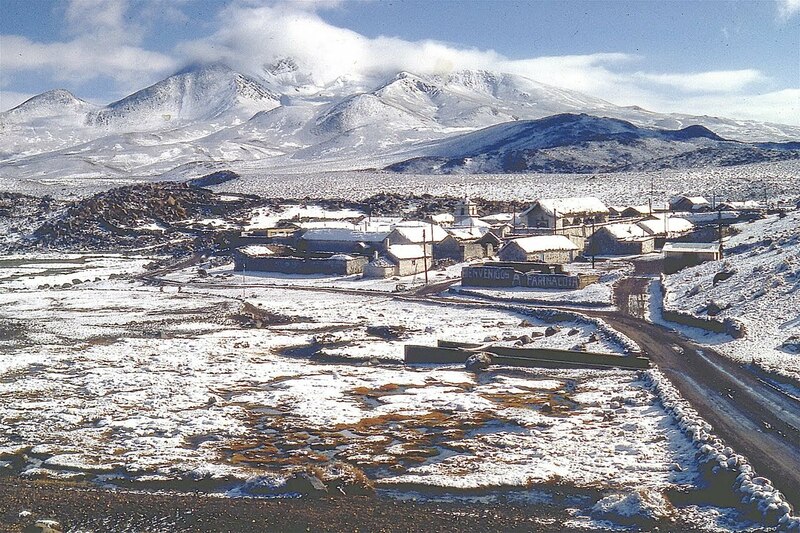 In Patagonia, while the ozone hole may increase the risk somewhat, the fact is that relatively low temperatures usually mean that locals and visitors are usually wearing long sleeves and trousers, so that the face is the major concern. 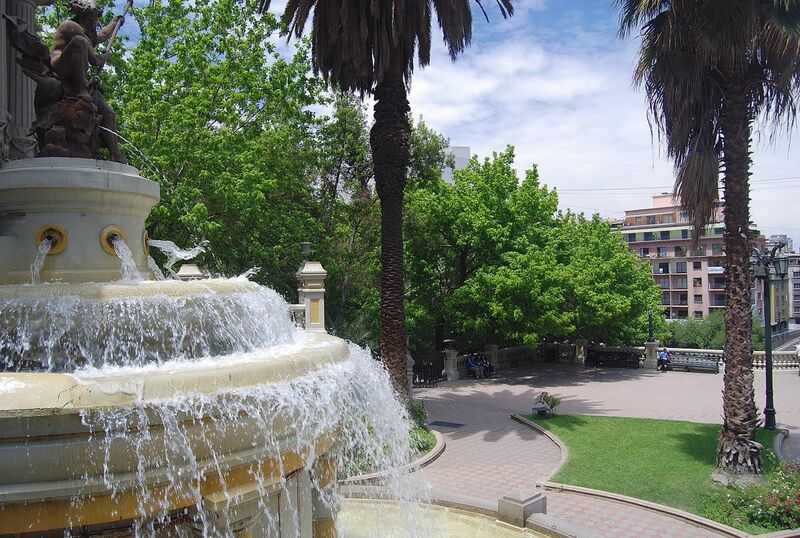 In cities such as sunny Santiago (pictured above), the risk can be even higher, so cover as much as possible, and walk in the shade whenever feasible. High altitude and tropical latitudes are also a risk. In the early 1980s, as I worked on M.A. 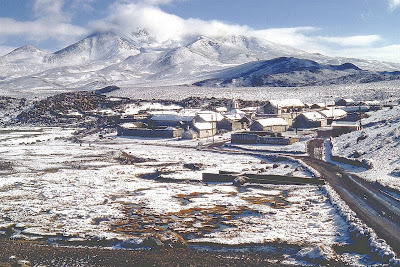 thesis on llama and alpaca herders in Chile’s Parque Nacional Lauca (pictured above), a couple Australian tourists came to my research site at the village of Parinacota (pictured below), some 4,392 meters (14,409 feet) above sea level at a tropical latitude of 18° S. Their ill-advised decision to sunbathe on a warm day, in thin Andean air with nearly direct solar rays, burnt them like lobsters and could even have been fatal; also suffering from altitude sickness, they soon left for sea level. I have no way of knowing whether, in the intervening years, they may have developed melanomas, but that world-class sunburn could certainly not have helped. That’s a pity because, in at least one sense, La Sebastiana is the best of the bunch, the place where visitors can feel the poet’s presence most closely. 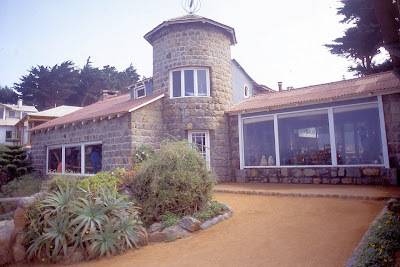 Because demand is so high at La Chascona and Isla Negra (pictured below), visiting them means taking an organized, even regimented, tour. 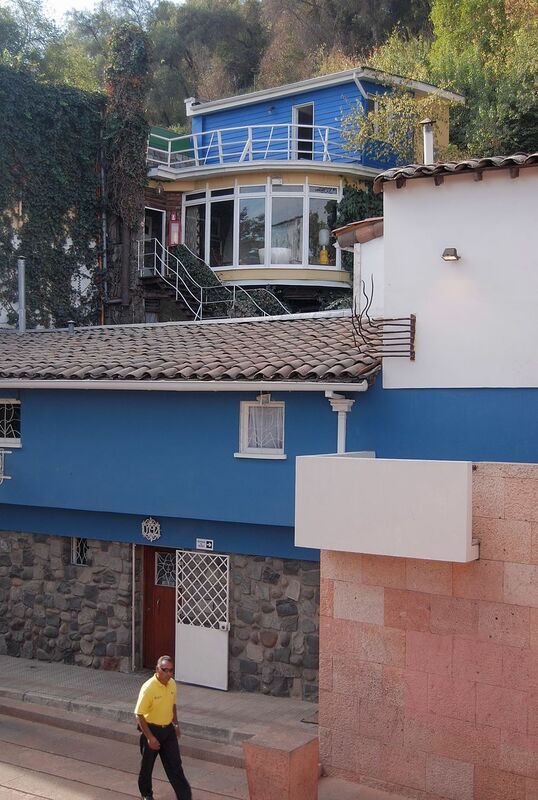 At La Sebastiana, by contrast, visitors are free to roam around the five-storey house, just as Neruda’s own guests might have done (the poet was legendary for his hospitality and informality). High in the hills, La Sebastiana (pictured below, courtesy of nostalgiaportena) may have been Neruda’s favorite, if only because of the scenic port city’s own informality and spontaneity. Valparaíso, he wrote, “grabbed me, she subjected to her will, to her absurdity: Valparaíso is a mess, a cluster of crazy houses.” On the slopes of Cerro Bellavista, with a view to the harbor, it was an ideal site for watching the city’s legendary New Year’s Eve fireworks, but it’s nevertheless a more orderly place today. 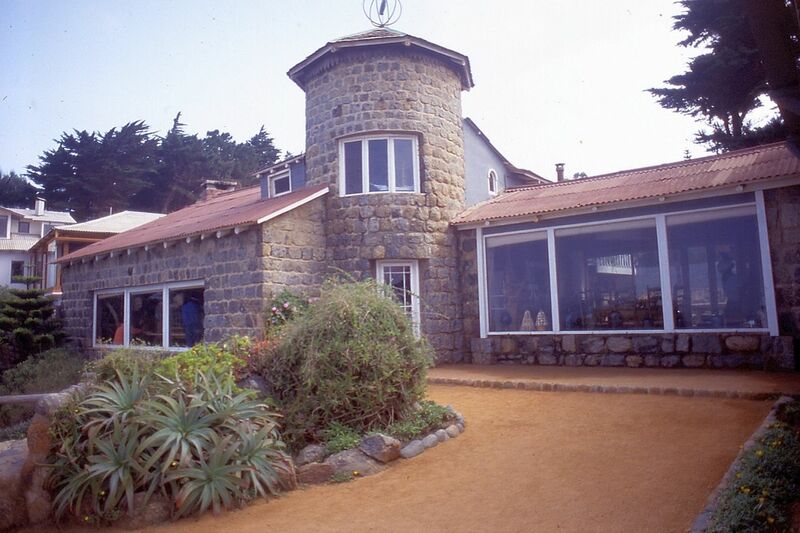 So orderly is La Sebastiana, in fact, that it has recently opened a 2,500-volume library specializing in Chilean poetry, including Neruda’s own works, those of fellow Nobel Laureate Gabriela Mistral, and lesser known figures - to non-Chileans at least - such Vicente Huidobro and Pablo de Rokha. For literary pilgrims, La Sebastiana bids to become an even more obligatory stop on the tourism circuit. Meanwhile, Valparaíso got another shot in the arm with the announcement that the UNESCO World Heritage Foundation will provide a grant of some US$140 million to repair damage from February’s massive earthquake (which, however, hit other cities, such as Talca and Concepción, much harder). Valparaíso has been a World Heritage Site since 2003, and the money will go to repair and rebuild “culturally significant buildings” that were damaged in the quake. Unfortunately, Valpo didn’t get all the money it had hoped for but, at the very least, it’s a good start. While Ruta Nacional 68 from Salta to Cafayate is paved, the second day’s stretch north to Molinos and Cachi is not such easy driving - beyond the village of San Carlos, about 20 km (12 miles) from Cafayate, Ruta Nacional 40 becomes a narrow, dusty and often washboarded road where, however, every curve is a new photo opportunity. 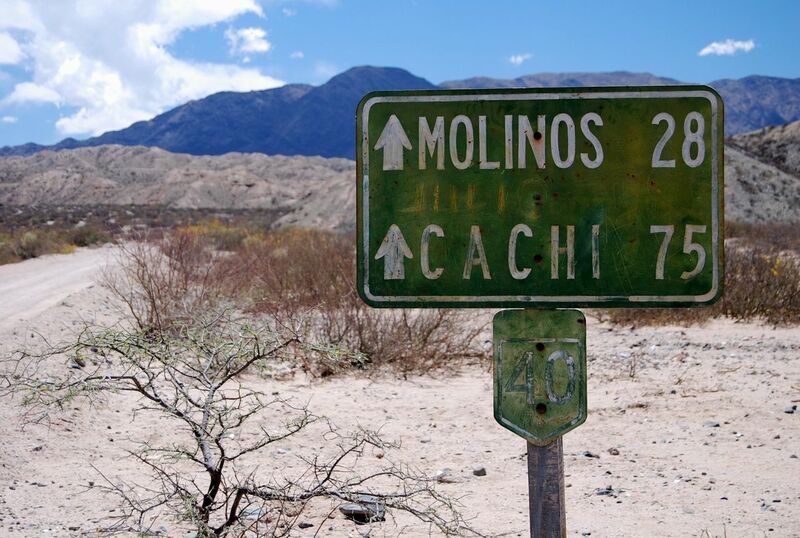 RN 40 is, in fact, legendary as Argentina’s counterpart to Route 66 in the western United States. Though there’s no single song that sums it up in less than three minutes, Argentina’s Dylanesque folk-rock musician León Gieco once undertook a musicological road trip, De Ushuaia a La Quiaca, that covered the entire route from the Bolivian border to Tierra del Fuego in a three-album series (even though, technically, RN 40 ends at the tip of the continent near Río Gallegos). Oscar-winning musician Gustavo Santaolalla produced the first two albums of the series. 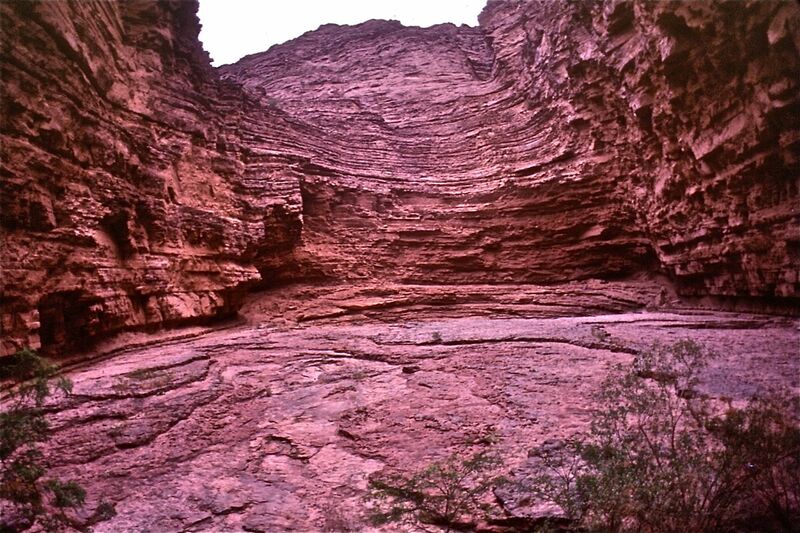 One problem along this route, whose folded sedimentary badlands are only slightly less colorful than those of the Quebrada de Cafayate, is that there is no public transportation between the town of Angastaco, 70 km beyond Cafayate, and the cozy village of Molinos, another 32 km north (the distances on the fading highway sign above are no longer accurate). 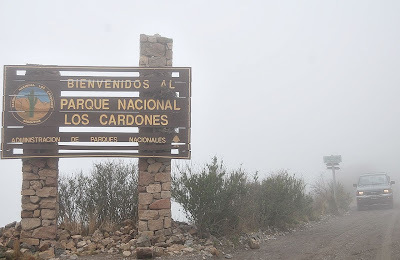 In a rental car or on a mountain bike, it’s easily doable but, between Angastaco and Molinos, the road is so narrow and winding that coming face to face with an oncoming vehicle is a serious matter - sound the horn at every curve. 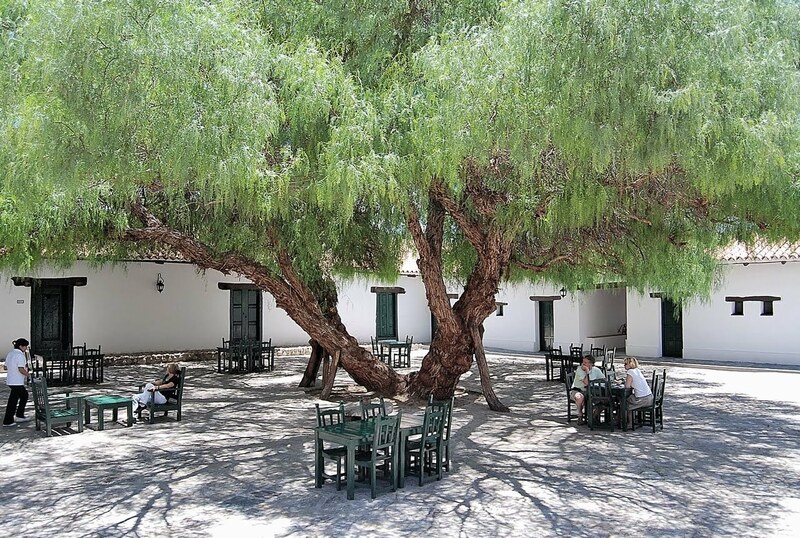 Dating from the 17th century, Molinos features a landmark colonial church with a twin bell tower and one of the best accommodations along the route, the recently upgraded Hacienda de Molinos, whose pepper-shaded patio (pictured above) is also an outdoor dining room (even in mid-winter, afternoons can be warm and sunny here). 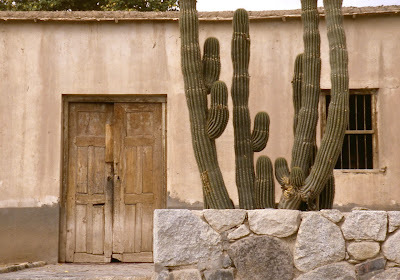 Molinos is also the last place to fill up on gasoline until the town of Cachi and, for cyclists, it also has a comfortable campground. 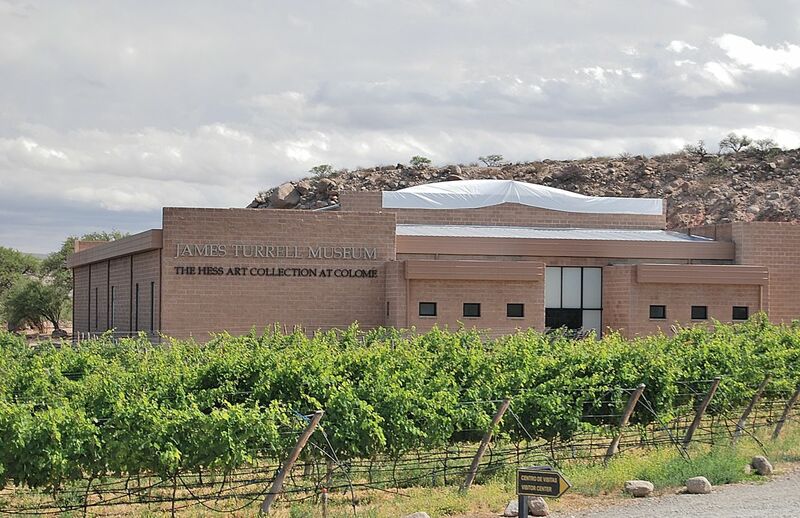 The area’s top attraction, though, is Estancia Colomé, 18 km southwest via a winding gravel road, where Swiss wine magnate Donald Hess has turned a 19th-century bodega and vineyard into a state-of-the-art winery, complete with a modern gallery dedicated to the unconventional light-and-space works of California artist James Turrell. 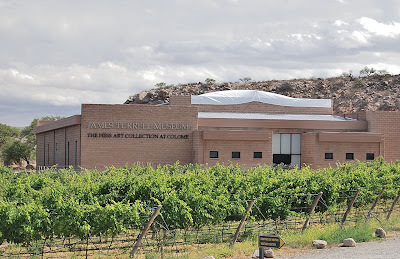 Open for guided tours only - otherwise you might never find your way out - the museum makes a fine complement to the vineyard and winery tour; for those who can afford it, Colomé also has a luxurious nine-suite hotel (pictured below) with a restaurant that’s open to the public (the winery, for its part, offers a light menu throughout the day). If both Molinos and Colomé are beyond your budget, the town of Cachi is only 27 km farther north so that, in principle, it’s possible to spend the night there. Cachi (pictured below) enjoys an impressive setting at the base of the 6,380 meter Nevado de Cachi, a snow-covered summit that rises more than 4,000 meters above the town. It features a shady plaza with an 18th-century church and, opposite the church, a fine archaeological museum (though the explanatory text is in Spanish only). 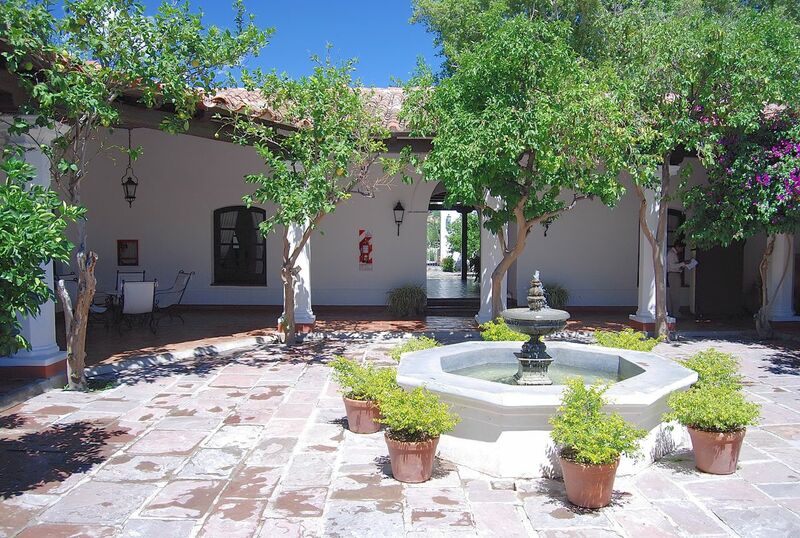 It also offers a diversity of accommodations for all budgets (my personal favorite is the cozy 15-room Hostal El Cortijo) and a modest but improving restaurant scene (where the house wines usually come from Colomé). 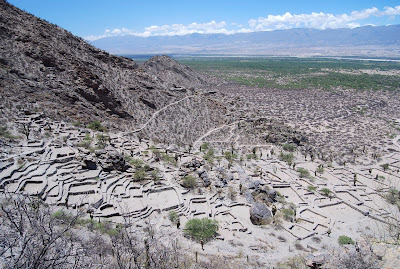 Beyond Cachi, RN 40 is paved for 12 km to the Payogasta junction, where it continues north toward San Antonio de los Cobres through wild high country that’s inadvisable without 4WD. Rather than that longer route, take the southeasterly Ruta Provincial 33, which climbs to the 3,348-meter Cuesta del Obispo, in Parque Nacional Los Cardones, so named for the saguaro-like candelabra cacti that dot the dry highlands here. RP 33 is paved to the Cuesta, beyond which it’s a zigzag descent down the scenic Quebrada de Escoipe - scenic in winter, at least, when it rarely rains. In summer, which is the rainy season here, it’s often obscured by cloud and requires caution. 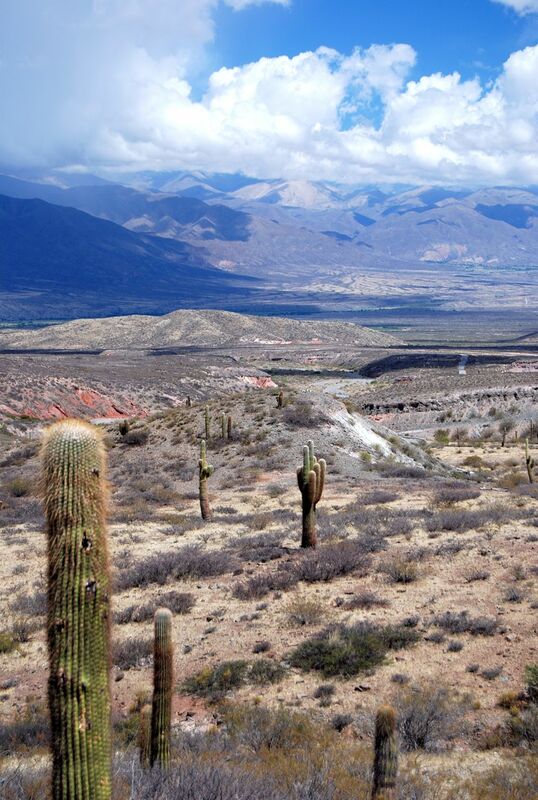 Gradually, the province is paving the road to the RN 68 junction, the point of return to Salta - and the end of one of Argentina’s most engaging road trips. 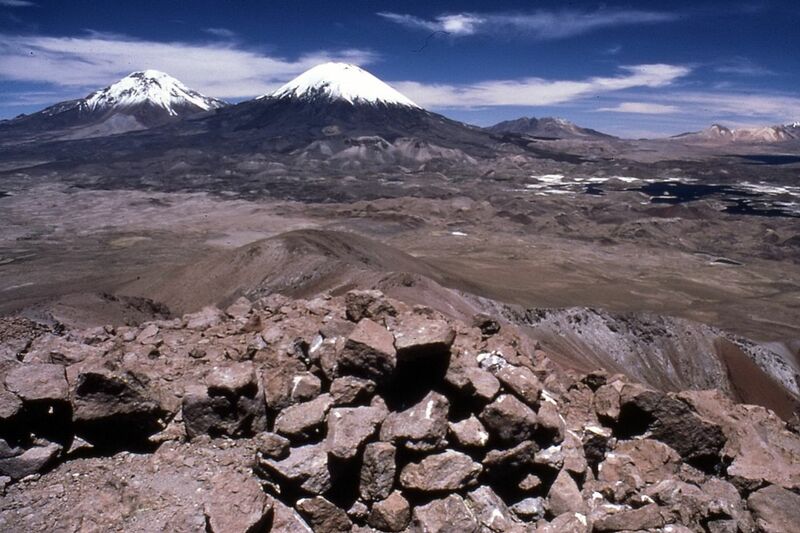 There’s plenty more, though, to bring visitors back to the Andean northwest at any season. It’s been a frigid winter in Argentina, from the tip of Tierra del Fuego to the northern border with Bolivia - even at subtropical Iguazú, tonight’s temperature will bottom out around 41° F (5° C). Toward the end of the week, though, there’ll be a warming trend and, for the rest of the winter, the climate should be ideal for one of my favorite road trips: the roughly 500-km (300-mile) triangle from the northwestern colonial city of Salta and back via the polychrome Quebrada de Cafayate and its high desert wine country, the scenic Calchaquíes valley hamlets of Molinos and Cachi, and the vertiginous zigzag descent through the Quebrada de Escoipe. Because it’s a circuit, this route is ideal for a rental car or, for those with more time and energy, a bicycle. Southbound from Salta, the smoothly paved road climbs slowly but steadily through the lush Lerma valley but becomes far more scenic when it crosses into the valley of the Río de las Conchas, otherwise known as the Quebrada de Cafayate. Here, the Sierra de Carahuasi reveals a series of free-standing landforms, box canyons (pictured above) and dunes reminiscent of southern Utah or northern New Mexico - not to mention “gauchos de Güemes” (pictured below) with the oversized, stiff leather chaps that protect them from the thorny backcountry brush. It’s roughly a three-hour drive to the town of Cafayate but, with stops to explore the scenery and take photographs, figure a late afternoon or early evening arrival. With a population of about 10,000, Cafayate is the hub of one of the world’s highest wine-growing districts - at 1,660 meters (5,446 feet) above sea level, it enjoys warm days and cool nights that bring its grapes, most notably the fruity white Torrontés, to a perfect maturity. At this time of the year, of course, the vines stand leafless as pruning and other vineyard activities proceed, but by next month they’ll start leafing out - even in some nearby vineyards that are nearly a thousand meters higher. 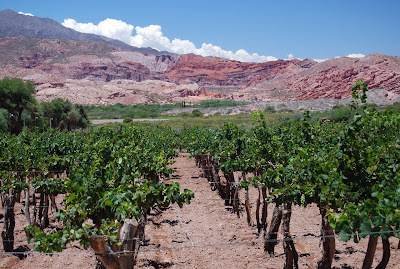 While the vineyards may be dormant, the wineries are not, and Cafayate has more than half a dozen of them within staggering distance of each other - there is no need or excuse for a DUI here. On top of that, the traffic moves more slowly and cautiously, in town at least, than it does elsewhere in Argentina, so even slightly tipply pedestrians are safer than they might normally expect among some of South America’s worst drivers. 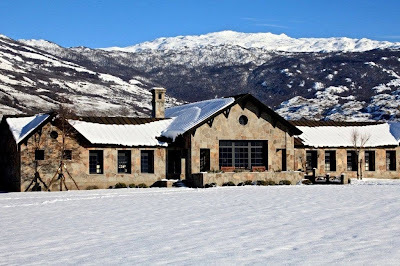 Calafate has seven wineries in town proper, and another three are within cycling distance; in some cases, as with Bodega Nanni and Bodega El Tránsito (pictured above), they’re literally right across the street from each other. 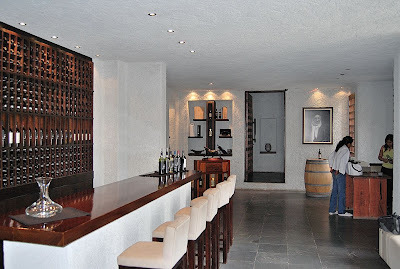 My current favorite is the Pequeña Bodega Salvador Figueroa, a Lilliputian locale producing only 2,500 bottles of classic Malbec, 2,500 of oaked Malbec, and 600 bottles of Torrontés per annum. 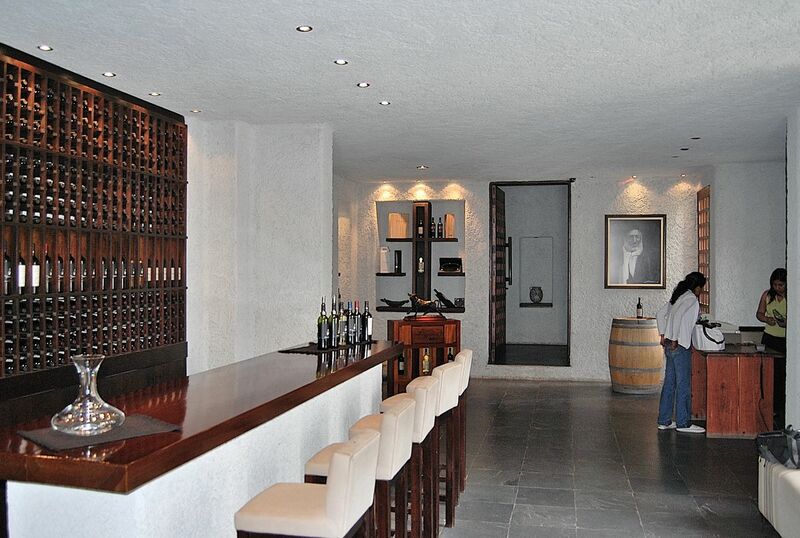 Most of them offer free tours and tasting though, in a few cases, there’s a token charge. When you tire of tasting, one of Argentina’s most impressive archaeological sites is only half an hour’s drive south: the ruins of Quilmes, in Tucumán province (pictured above), are the closest thing to Machu Picchu to be found in Argentine territory. 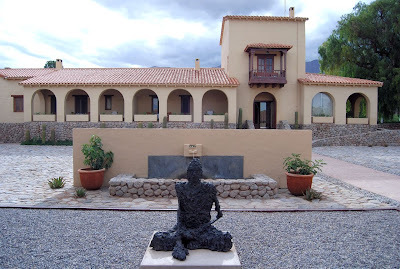 It’s best to stay in Cafayate, though; a two-night stay should suffice to visit the ruins and most if not all of the wineries. A personal favorite for accommodations is Hotel Killa Cafayate, just a couple blocks off the main plaza, but Villa Vicuña is also very fine and, for luxury, there’s the Sheraton-owned Hotel Patios de Cafayate (pictured below), on the grounds of Bodega El Esteco at the north end of town. 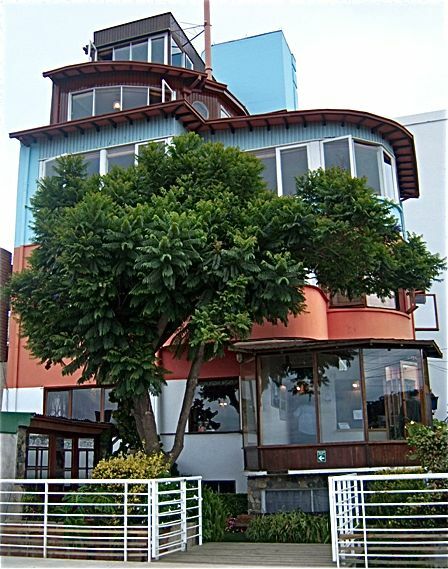 For those who have never dined on llama steak before, downtown’s Macacha (Avenida Güemes Norte 28) is the place to do so. Nearby Heladería Miranda offers wine-flavored ice cream - the fruity white Torrontés tops the red Cabernet (sadly, says the owner, Malbec grapes do not make good ice cream). Within a few days, look for the rest of this backroads tour, covering the more rugged sector up the Calchaquíes valley to Molinos and Cachi, and then back to Salta.